Diamonds are a girl’s best friend, especially when she's opening up a jewelry box containing one of these world renowned top diamond brands! If you’re planning the perfect engagement proposal, a ten year anniversary present or a Valentine’s Day surprise she’ll never forget, this list contains all of the most famous jewelry brands in the world who specialize in the diamond industry. If a diamond is truly forever, it is well worth the investment to purchase one she will actually want to look at forever! If you’ve ever wondered about the best diamond brands available, then you have definitely come to the right place! A gift from one of these top fifty luxury jewelry designers will be sure to leave a lasting impression! 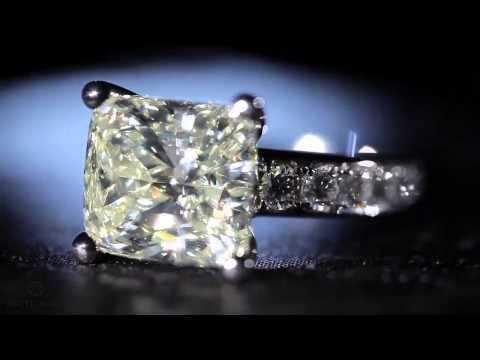 There are many sizes, styles and features available when selecting your next diamond jewelry, and these best diamond ring brands have been known and trusted for decades as being the absolute highest quality in the industry. Not just the top 10 diamond brands, this list discusses all the best brands of diamonds and top diamond companies, including: Cartier, Tiffany and Co., De Beers, Blue Nile, Piaget, David Yurman, Chopard, Zales, Van Cleef and Arpels, Pearlmans and Marco Bicego. If you’ve ever tried one of these brands please share your opinion with the rest of the world and vote for your favorite brand today!